Galaxy S dan Galaxy Tab 'Hijrah' ke Gingerbread ~ " World Information "
SEOUL - Samsung ready to upgrade the operating system (OS) for smart phones and tablet PCs S Galaxy Galaxy Froyo Tab from Android 2.2 to version 2.3 or Gingerbread. Not just for the Galaxy and Galaxy Tab S, Samsung also will upgrade the OS on Galaxy Ace / Gio / Fit / Mini into Gingerbread, in order to ensure performance and better user interface. Thus quoted from a number of technology site Engadget Korea news agency on Monday (5/16/2011). Gingerbread upgrade will commence in the UK and Nordic regions such as Sweden and Finland (mid May), before heading to other European countries, North America, Southeast Asia, the Middle East, Africa and other countries are included in the plan. 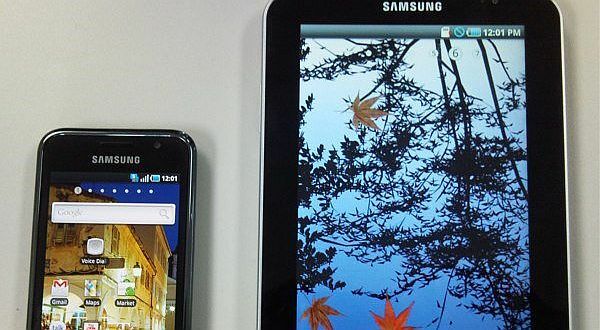 Samsung seems to have been working hard rival Apple's dominance in the smartphone market as well as tablets. Recently, Samsung also announced the presence of the Galaxy Tab 10 inches, which is claimed as the world's thinnest tablet with a thickness of 8.6 millimeters.